The main purpose of search engine optimization is to bring a website or web page at the topmost level of search results. Whenever someone conducts an online search by typing a specific set of keywords, relevant results reflect the best-optimized online portals on the topmost list. As a digital marketer, one must need a rank checker tool to confirm the position of a keyword. Higher ranking position means more probability of deriving traffic as well as conversion rate too. A keyword rank checker is an online tool that generally available for free of cost. Search engines like Google have algorithms that keep on changing after a certain interval of time. Consequently, marketers also need to change their keyword targeting criteria. Digital marketing is undoubtedly the future of products and services promotion no matter whether a business is small or big in size. Online marketing tools are meant for increasing the outreach of business by ranking the relevant keywords. Right now, large criteria of people search for the stuff of their requirement at online portals. Consequently, the e-commerce business is flourishing rapidly. However, the competition is also getting tougher day by day because of the increasing number of players at all levels of the market. Search engines are accountable for most of the queries of internet users. This is the reason why SEO (Search Engine Optimization) has become a crucial requirement for every online business. It is one of the top SEO factors to analyze keyword ranking position for the web page in search results. People will take a lot of time to identify the keyword ranked for a particular web page, so with the help of this tool, you can check your website rankings for the top keyword in both Google and Yahoo search results. 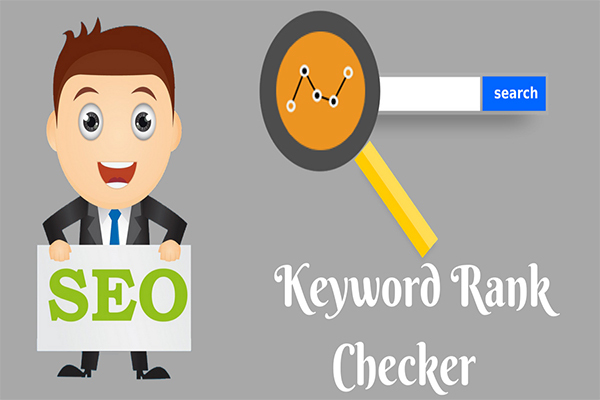 A keyword rank checker is a simple tool that identifies a keyword position by scanning your website on WWW (World Wide Web) to find keyword position faster than manual searching. The goal of every SEO is to rank the web page for a website with a particular keyword. A proper keyword is one of the main think Search Engine Optimization, so with the help of Keyword rank checker tool, you can analyze the position of Keyword in Google, Yahoo, Bing search results. If you want the best keyword list for the main keyword, Use our free Keyword Suggestion Tool to identify top trending keywords. Why Seo people need keyword rank checker tool? As a professional digital marketer, everyone has a primary focus to bring the relevant keywords of a website at topmost ranking. For this purpose, they perform a set of distinctive strategies. After implementing all these strategies, it is also essential to check the results. The final result is based on your experience of implementing the most suitable strategies at the right place. The keyword rank checker tools are capable of finding the position of a specific keyword that you are targeting while implementing your SEO strategies. Finding the keywords with the highest probability of outreach has become convenient with the help of keyword search tool. One can enter a single word relevant to brand for discovering all possible long tail and short-tailed keywords from these tools. How to use this keyword rank checker tool? After opening any online tool, you will find an online form to check the ranking by entering the URL in the text box. If you want to initiate the search by keyword, enter the URL of the website, Now, enter your keyword whether it is long or short-tailed line by line. Click on the “Find Keyword Position” button to see the results. For the specified URL, the keyword position is shown in popular search engines such as Google, Yahoo, and Bing with real time results. How is exactly the keyword position checker tool works? Once the site URL & list of keywords is entered, the tools scan the search engines by the phrases of the keyword requested. As the tool runs in the background and gives keyword results in both Google and Yahoo. You can check any number of keywords at the same site or different site, the website can be much focused for the keyword ranking till the site reaches the top 10 positions in search results. How important is keyword rank checker? SEO is a set of multiple strategies that require time and patience to reflect satisfactory results. After implementing everything in the right way, it is important to check the real-time stats of success rate. For this purpose, the KW ranking tool is a perfect companion. It is basically a metric that is meant for measuring search engine ranking of targeted keywords. Also, it is capable of analyzing the real-time changes occur in ranking. Does this tool really find an accurate keyword position in the search engine? While searching online, you will find numerous online portals offering tools to check the keywords ranking. People sometimes confuse with the results of these tools because the KW search tools show different volumes as compared to the Google planner. For obtaining similar results, it is advisable to set the same location & language in both tools. There is no doubt that this tool can find the accurate position of keywords in a search engine. The value of keyword difficulty changes in a maximum time span of 30 days. Therefore, it is essential to check the ranking more frequently in order to maintain consistency in outreach. Who all can use this keyword rank checker tool? The keyword ranking tools are very helpful for SEO experts to know the position of their KW is a search engine. Without an effective SEO strategy, it is not possible to bring a website on the topmost results of a search engine. They need to use this tool every day to make sure if the implemented strategies are working perfectly or not. The stability of results depends on the strategy type whether the professionals implemented white hat, grey hat or black hat SEO techniques. Apart from search engine optimization experts, the business owners can also check their website position with keyword ranking tool. They can ask the marketing agency to provide the keywords that are targeted during the entire SEO process. Rather than depending on the complete SEO reports prepared by professionals, they can stay up to date with the real-time stats of performance with the help of these tools. 2) When optimizing with the keyword, your content should be unique and error free, grammar free. Because Google loves only quality content and gives preference who gives value to the visitors and rank accordingly. Search engines give only importance to the quality website. 3) Interlink all the pages which are created on the site. So the visitor can able to see other pages properly because this creates a strong link juice between the pages. Along with it, build backlinks from the external sites gives way more value to the site and chances may rank faster. The keyword ranking tool is highly beneficial from the perspective of professional work. Currently, all businesses of services and products are going online. Therefore, competition is increasing rapidly. In this environment, it is important for an SEO expert to keep a sharp eye on the real-time stats. If the ranking of KW is falling down, this tool can help in analyzing with accurate data. The SEO experts can decide some new strategies and keywords to improve the ranking consistency in a search engine.